According to the EU Treaty, the political impulses in EU security matters mostlycome from the European Council. 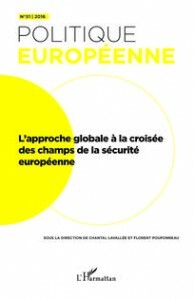 However, the article aims at understandinghow the European Commission also has succeeded in taking position in the fieldof European security and defence, and in playing a determining role through aseries of initiatives, notably in research matters. The examination of the configuration of relations tracks how the Commission indeed affects this field andreinforces its interface position among state and non-state actors through thestrategic use of its assets and resources with reference to the ComprehensiveApproach. This article seeks to assess how the rivalries between European players withinthe external policy field have shaped a European model of crisis managementin Somalia. 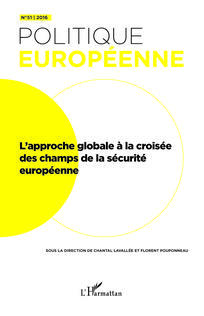 Drawing on data collected in the field through interviews, this articleadvocates for taking into account the conflictual strategies of European actorsin European foreign policy analysis. In this context, two results are elaboratedto explain some of the specificities of the European approach, respectively onthe autonomy of the humanitarian policy and on the strategic objectives of theEU’s action in Somalia. The interactions at play in the definition of an EU comprehensive approach tocrisis management are often analysed in the literature through intergovernmentalor interinstitutional lenses. The study of the creation of the Peace Facility forAfrica in 2003-2004 shows on the contrary struggles that cut across MemberStates and European institutions and follow sectoral and cross-sectoral logics.These struggles reflect not only divergent bureaucratic interests but also different social representations pertaining to the security and development sectors. This article sheds light on the limits of the institutionalization of the comprehensive approach among the military when they are involved in Europeancrisis management operations. Based on an analysis of EUFOR Chad/CAR,two contrasted observations stand out. European soldiers react positively tothe comprehensive approach, as it provides them with new professional andsocial skills when they interact with one another and with the other actors of theEuropean security field. For the military, the comprehensive approach functionsas a norm that contributes to shaping the EU’s role as a crisis managementactor. However, the comprehensive approach’s implementation leads to anassemblage of diverse practices, and some of its principles are rejected by themilitary, when the latter clash with the conduct of operations on the ground. This article questions the limits of the EU’s comprehensive approach in the caseof the common non-proliferation policy towards Iran. Combining sociology ofpolitical sectors and role sociology, I elaborate the hypothesis that the mobilisation and the sudden abandon of the comprehensive approach constitute theobjectivation of inter- and intra-sectorial struggles taking place in the contextof international negotiations. Based on this socio-historic reconstruction ofthe non-institutionalisation of the comprehensive approach, I illustrate that theinstitutionalisation of European foreign policy is not necessarily the result ofthe Europeanization of its builders.